they have tight meat with strong sweetness of adductor muscle. 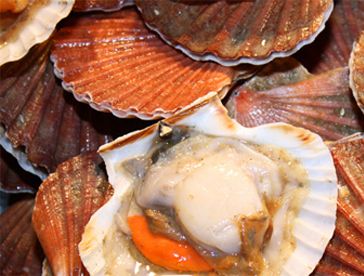 Please enjoy our scallop with thick and strong flavor and bouncy texture which grew up by eating rich planktons. Different from the original meaning of “aqua culture”. 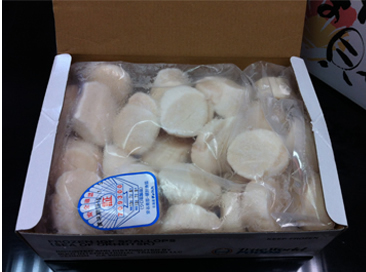 Recently scallops of wild catch have been decreasing, and most scallops in market are aqua cultured. 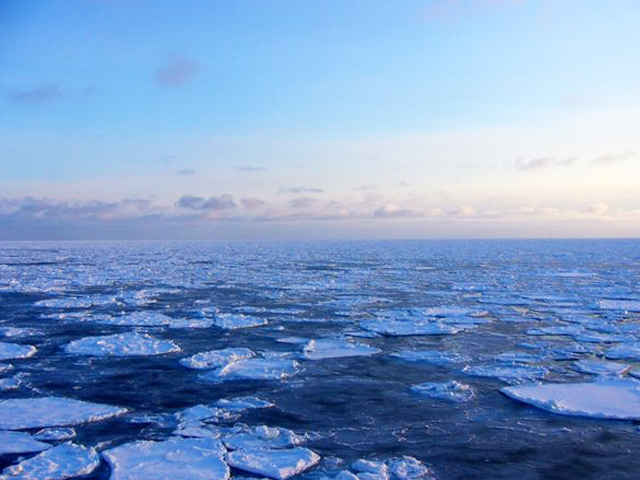 But those “cultured” scallops are growing by eating planktons in the sea, not by being fed. So, they are different from the original meaning of “cultured”. 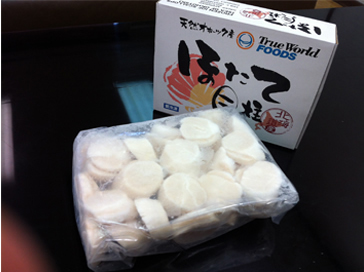 Especially aqua cultured scallop by planting juvenile shell on the sea ground in naturally, grow in the state of approximately naturally, and our industry call them “wild shell”. Wild shell that grew up by moving on wide area of seabed have tight adductor muscle meat, and are even more delicious. HACCP registered factory which hygiene management system is strictly established.